British businesses importing goods from the EU should consider applying for and using Transitional Simplified Procedures (TSP) to prepare for Brexit and avoid huge delays at ports, regardless of the outcome of current negotiations, a leading expert from The Customs People warns. HMRC unveiled the procedures in February and said they will make it easier for businesses to import goods from the EU using roll-on roll-off locations like Dover or the Channel Tunnel. At this stage, registering for TSP is a simple online form that is free to complete although the government has not yet advised how TSP will operate in practice. However, the point of using TSP is that it lets businesses complete a ‘Simplified Declaration’ so that their goods can pass through customs quickly, then complete more detailed paperwork afterwards. Given that the alternative is for full customs declarations to be required to be submitted before goods arrive at the port, TSP is a measure which is designed to avoid huge delays in customs clearance in the event of a no-deal Brexit, after which no vehicle would be allowed to travel through ports without customs paperwork being pre-lodged. 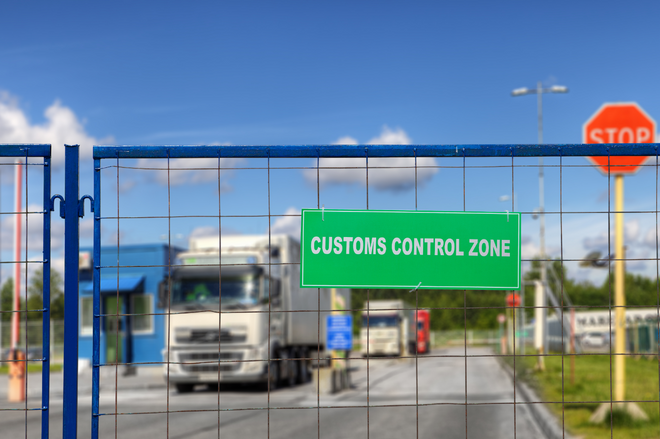 David Miller, Customs & AEO Consultant and co-founder of The Customs People, said: “The vast majority of vehicles from the EU currently drive straight through customs without needing any paperwork at all, but that could all change on 29th March. HMRC will review TSP three to six months after the procedures come into force in March and will give all businesses a 12-month notice period if the government decides to withdraw them at a later date. The government has not yet clarified exactly what happens immediately after businesses make the TSP application, but HMRC will respond to all applicants within 15 days to confirm the next steps. David said: “I have been in the industry for 31 years and I have never been so inundated with requests for guidance from importers and exporters. Worryingly, I am still speaking to business owners who have made no preparations whatsoever for Brexit. The guidance follows an official report from HMRC and The National Audit Office, which claimed there are currently 55 million customs declarations made by British businesses every year, but this figure is set to rise to 255 million after the UK leaves the EU.